Siobhan Russell got some great pictures last night. There was a good crowd swimming – even as the sea refused to co-operate and stuck at 9.5c. As usual, our safety boat was in place. It’s big, but we spare no expense in Myrtleville. 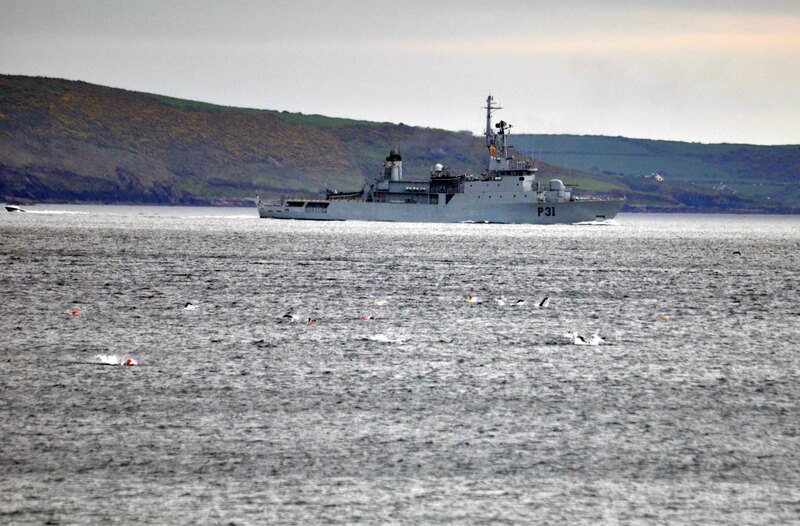 It was positioned to catch James Slowey on his normal line past Roches Point, but nobody told them he was still in Lanzarote after his fantastic 11hrs 22 min Ironman last Saturday. As a back-up, we had the Navy available also. 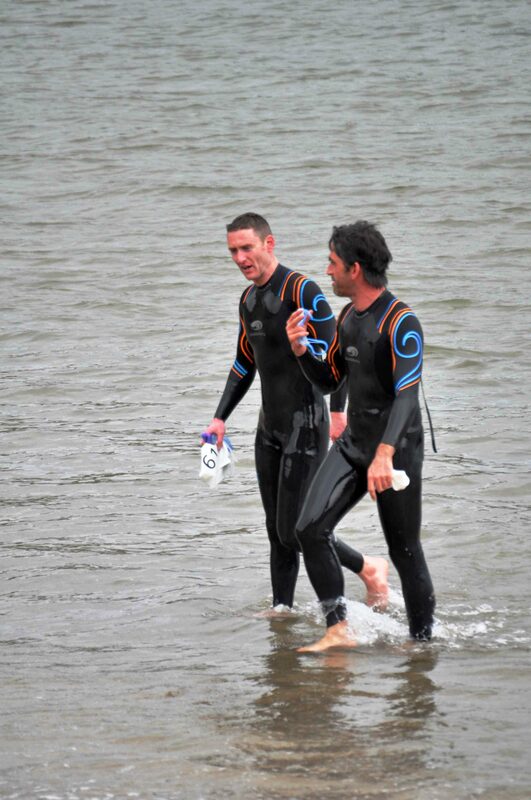 Some of the speed merchants were in the open water last night – probably discussing how to avoid clashing outfits next week..
John Russell & Sham Riordan working out who was fastest and advertising Blue Seventy. 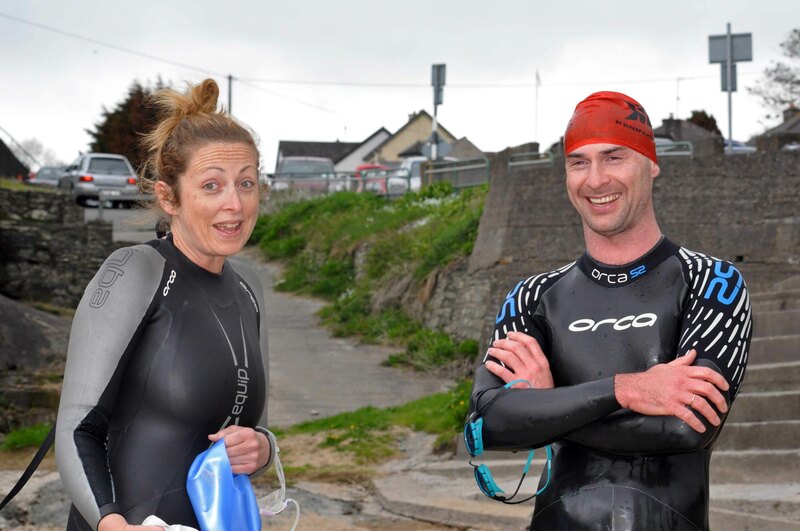 Carol Cashell was in for her second Myrtleville swim of the day – 6.30am and 6.00pm – well prepared for the Manhattan Island Marathon in June and her Crosoige Mara Channel Relay in July. View all of the pictures here. 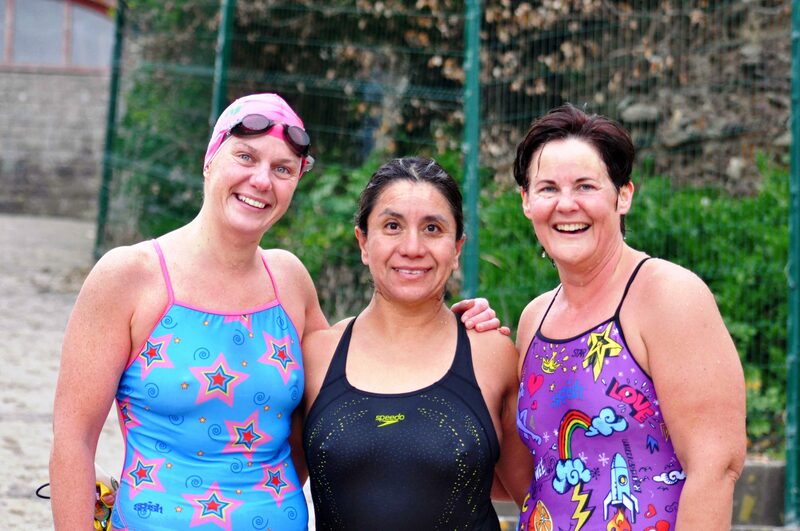 Forecast is a bit better this week so hopefully we’ll see the temps continue to rise to encourage everyone back into the open water – where we should be! Great pics Damian. 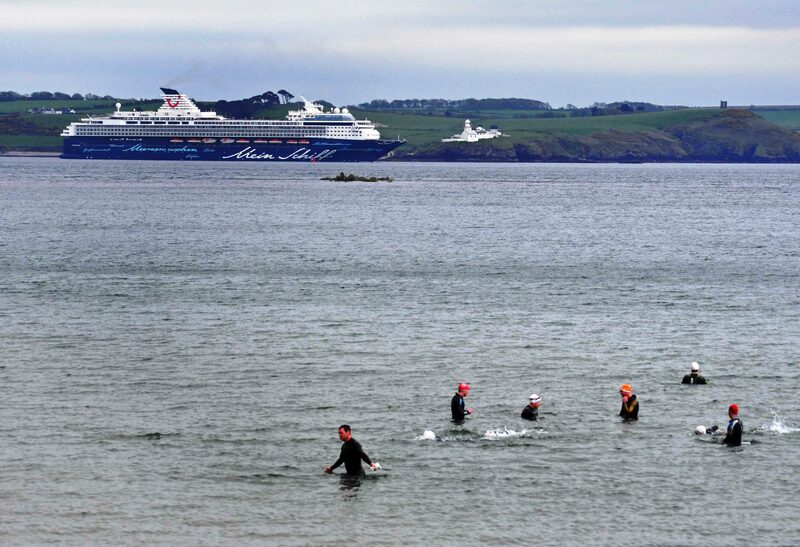 Good to see so many swimmers down on Myrtleville Beach braving the icy waters (even if alot of us had wetsuits !! ).